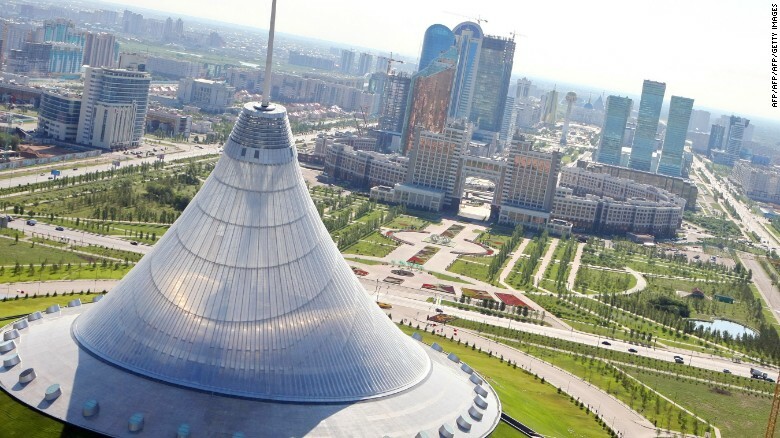 The Kazakhstan capital will host EXPO 2017 from June to September this year, CNN reports. As one of the world's youngest capitals -- it adopted the title in 1997 -- Astana is shiny, modern and currently void of tour buses. But perhaps not for long, as the fascinating city steps onto the world stage. "Astana has been the fastest growing capital in the world for many years," says Yerbolat Uatkhanov, director of the English-language Astana Times. "If you live here or visit the city often, you will be at amazed how everything is being changed so quickly. EXPO became another keystone in its development." More specifically, Uatkhanov says he's noticed a rise in international visitors and improved infrastructure. "For example, the city administration made a decision to construct a light rail transport (surface metro) to reduce traffic jams," he says. Meanwhile, a flashy new train station filled with restaurants and shops opens June 1. Ahead of Astana Expo 2017, get a closer look at the city.